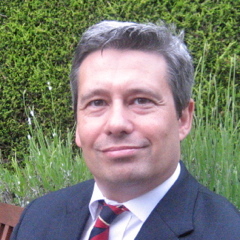 Professor Russell Deacon is currently the director or research for Gorwel – the Welsh business think tank in the United Kingdom that specialises business and public sector economic and management development. He is also lecturer in the Department of History and Classics at Swansea University. He is an expert in British business and political leadership. Professor Deacon is the author of a number of books and other texts on British government, politics and leadership, cited at the bottom of this biography. He is a fellow of the Royal Historical Association and Higher Education Academy. Professor Deacon previously was Head of Department of University of Wales Institute Cardiff’s Humanities Department and prior to that the Research Director on their international MBA programme. Whilst on the MBA programme he led a number of European industrial visits. Professor Deacon has lectured on business and public sector management and leadership for the last twenty years. He has also published on these areas through a number of academic texts. Professor Deacon has a degree in Public Administration (Glamorgan), a Postgraduate Certificate in Further Education (Cardiff) and the Ph.D. (Glamorgan) in Welsh political and public sector leadership. He served as a senior researcher at the National Assembly for Wales and worked directly for the former Deputy First Minister Lord Michael German. He has also worked in the British Westminster Parliament and has advised government ministers there, including those in the current Westminster coalition government. Professor Deacon also serves boards of a number of organisations including the Welsh European Council, History Research Wales and the Board of Welsh Political Archives at the National Library of Wales. He is currently the Chair of the British Liberal Political Studies Group, a specialist leadership and politics group within the Political Studies Association. In the business world Professor Deacon is the owner of the political merchandising business – Protest and Survive and an executive director for the Euro China Investment Company Ltd. Professor Deacon has acted in a paid consultancy role on leadership and other related topics to members of the National Assembly for Wales, BBC, Channel 4 News, ITV, the Liberal Democrat Party, European Liberal Forum and various private businesses. Professor Deacon has also lectured widely across European Universities and to European think tanks in Belgium, Bulgaria, Cyprus, Germany, Portugal and Spain on education political and business leadership and economic and political systems. He has also undertaken collaborative research projects across the UK and the Europe Union on a variety of topics.